SmartSteam technology automatically regulates steam levels based on the temperature setting you select using the single-dial control, taking the guesswork out of ironing. Style Name:Anti-Drip with SmartSteam The BLACK+DECKER Easy Steam Compact Iron is a powerful tool in the fight against wrinkles. That�s what makes BLACK+DECKER the trusted name in clothes irons. A full suite of useful features in a small iron that�s easy to handle. 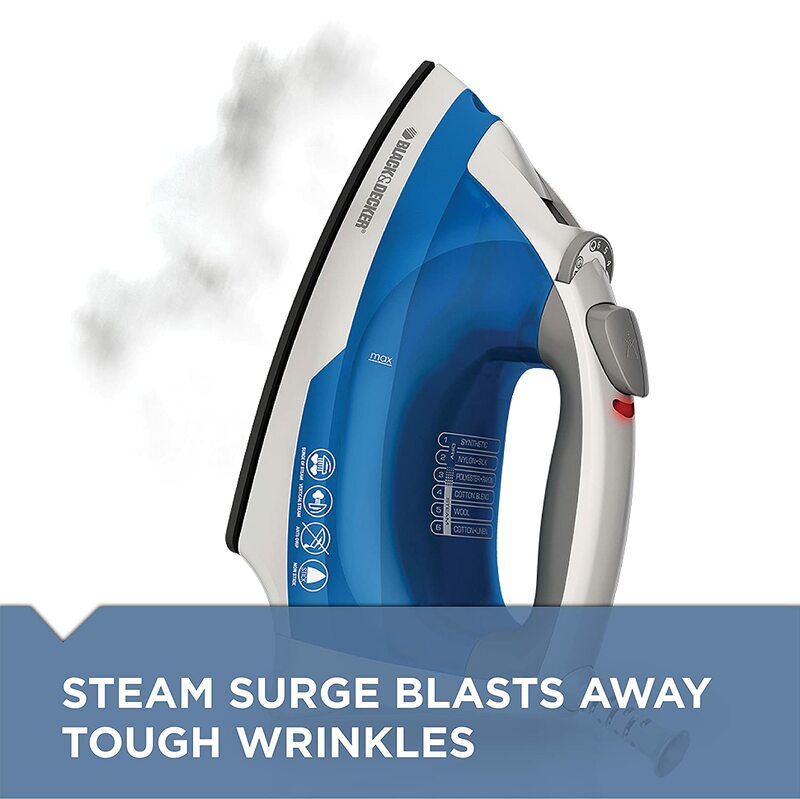 The large-capacity water tank allows the iron to create generous amounts of steam to blast away wrinkles on the ironing board or vertically.